Four feasts of sights and sounds (including three period pieces and two shot on film) are certain to generate great crafts buzz. The four festival faves that have emerged as early Best Picture Oscar frontrunners —”Roma,” “First Man,” “A Star is Born,” and “The Favourite”— take us on adventures large and small. And with such stunning sights and sounds, they are certain to dominate many of the craft races as well. There’s Alfonso Cuarón’s black-and-white, childhood memoir, “Roma,” about history on the cusp of change in Mexico City in 1971; Damien Chazelle’s “First Man,” the inside out recreation of Neil Armstrong’s (Ryan Gosling) historic moon landing in 1969; Bradley Cooper’s intimate remake of “A Star is Born,” starring Cooper and Lady Gaga, about finding — and trusting — their musical voices; and Yorgos Lanthimos’ wicked palace intrigue, “The Favourite,” in which Emma Stone and Rachel Weisz compete for the love of Queen Anne (Olivia Colman) with a killer instinct that calls out our current political perversions. 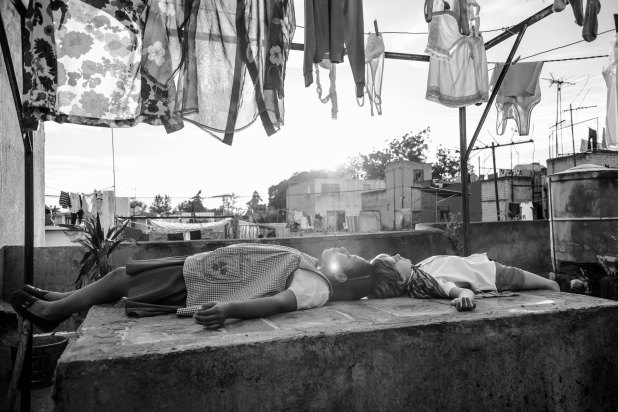 Cuarón follows Cleo (Yalitza Aparicio), a young domestic worker for a family in Mexico City’s middle-class Roma neighborhood. Oscar-winning production designer Eugenio Caballero (“Pan’s Labyrinth”) meticulously recreated Cuarón’s childhood home and neighborhood in both a studio and on location. But without his go-to, Oscar winning cinematographer, Emmanuel (Chivo) Lubezki (“Gravity”), Cuarón operated the large-format Alexa 65 camera himself, blocking out a series long takes on slow-moving, horizontal dollies. Thus, we are given an objective view that’s always advancing, as Cleo learns to adapt to change and becomes the family’s center of gravity. The director also edited with Adam Gough achieving a sense of progression and ascension. Cuarón created the black-and-white look in post with Technicolor, and the effect is a remembrance of things past today with the sharpest possible resolution. In addition, we are constantly aware of the world outside the frame, and that’s where the immersive Dolby Atmos sound design creates distinctive traffic noises and street vendors calling attention through shouting or with whistles, flutes, or bells. Likely Oscar nominations: Cinematography, Production Design, Editing, Sound Editing, Sound Mixing. NASA’s mission to the moon in the ’60s is given a doc-like treatment by Chazelle, and it’s the crafts event of the season. Viewed through the eyes of the taciturn, driven, Armstrong (grief-stricken by the death of his young daughter), it’s like watching a personal home movie. Team Chazelle uses high-tech for retro authenticity, and emphasizing the difficulty and danger of space exploration before touching down with the surreal moon landing. Production designer Nathan Crowley (“Dunkirk,” “Interstellar”) meticulously built the Gemini and Apollo space crafts as close to scale as possible (the Lunar Landing Module looks bizarre), and the art department 3D-printed every model instead of CG. Even the moon set (shot in a quarry) has the right color and texture. 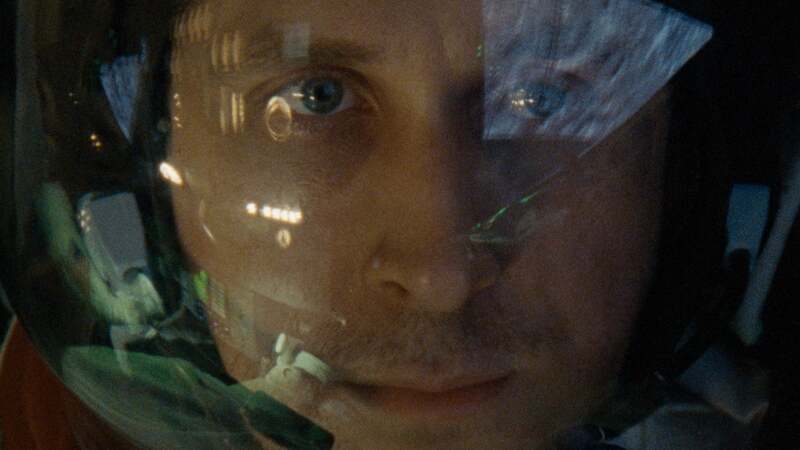 Oscar-winning cinematographer Linus Sandgren (“La La Land”) shot on Kodak films stocks (16mm, 35mm, VistaVision, and IMAX format for the moon landing), going for naturalism and destabilization, which perfectly capture the mission and Armstrong’s state of mind. Everything was shot in camera, and VFX and special effects re-photographed archival footage as part of the seamless augmentation. Other “La La Land” carryovers — editor Tom Cross, composer Justin Hurwitz, and supervising sound editors Mildred Iatrou and Ai-Ling Lee — achieve a tactile, visceral impact, along with an otherworldliness. Likely Oscar nominations: Cinematography, Production Design, Editing, Score, Visual Effects, Sound Editing, Sound Mixing. The fourth go-around has Cooper making his directorial debut by updating the Barbra Streisand/Kris Kristofferson music version from 1976. 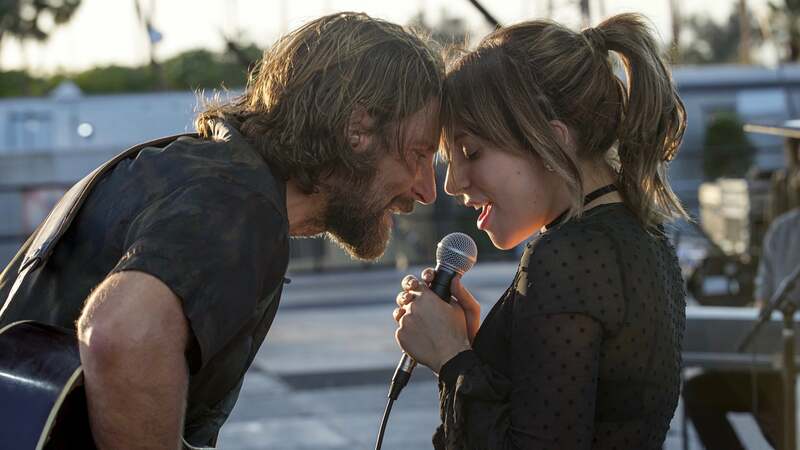 It’s now a tragic love story about the downward/upward trajectory between alcoholic country star Jackson (Cooper) and aspiring singer-songwriter Ally (Gaga). They not only filmed their performances live at Coachella, the Stagecoach Music Festival, and larger venues in L.A., but also from a strategic backstage to center stage perspective. Oscar-nominated cinematographer Matthew Libatique (“Black Swan”) utilized hand-held, Steadicam, and long tracking shots for a naturalistic look that recalls the grittiness of the ’70s. But then he went more tactile for hopeful close-ups during the beginning of their relationship. Look for Gaga to get nominated for her powerful break out song, “Shallow,” or the wistful “I’ll Never Love Again” (or possibly both). Sound, too, was integral in keeping us contained inside the world of Jackson and Ally, and sound designer-mixer Steve Morrow provided seamless transitions without audible breaks, and achieved a propulsive soundscape that also benefits from the immersion of Atmos. Meanwhile, Oscar-nominated editor Jay Cassidy (“American Hustle,” “Silver Linings Playbook,” “Into the Wild”) makes it seem like a bitter-sweet dream in which painful reality intrudes before erupting like a nightmare. 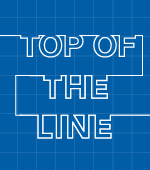 Likely Oscar nominations: Cinematography, Editing, Sound Editing, Sound Mixing, Song. 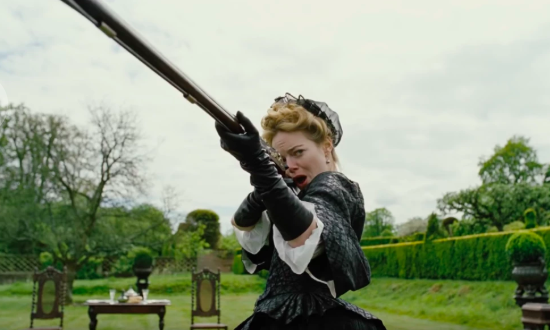 Leave it to Lanthimos to turn the period drama on its head with a love triangle about cruelty and affection in the kingdom of the meek and easily manipulated Queen Anne. At the turn of the 18th century, England was a global power at war with France, and we witness ruthless power plays and the rise of the fractious two-party system of Whigs and Torries. The palace and its inhabitants were wildly transformed into a playground, a battlefield, and, ultimately, a prison, with the help of production designer Fiona Crombie, cinematographer Robbie Ryan, three-time Oscar-winning costume designer Sandy Powell (“The Young Victoria,” “The Aviator,” and “Shakespeare in Love”), and hair and makeup designer Nadia Stacey. Crombie used Hatfield House (which has housed royals since the 15th century) for the palace, combining period-correct recreations with absurd anachronisms. Ryan shot on Kodak 35mm film for a rich warmth, but darted around at odd angles and with fish-eye lens distortions. Powell had the freedom to play with a minimal color palette for the three women (black-and-white, silver and grays, and a sprinkling of golds), while adhering to 18th century silhouettes. Stacey was encouraged by the director to disregard historical accuracy and have fun with the natural messiness of life, and editor Yorgos Mavropsaridis seems to have found a method there as well while structuring around the continual ups and downs of the three women. Likely Oscar nominations: Cinematography, Production Design, Costume Design, Hair and Makeup, Editing.